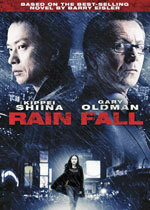 Synopsis: Born of an American mother and a Japanese father, Rain is a businessman based in Tokyo, living a life of meticulously planned anonymity. There are few who know who he is or what he does. Trained by the U.S. Special Forces and a veteran of Vietnam, he is a cool, self-contained loner -- and he has built a steady business over the past twenty-five years specializing in death by "natural causes." 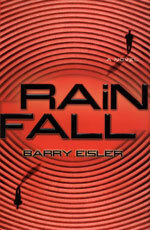 After the assassination of a government official in a crowded subway car, Rain's carefully ordered world comes under siege. Agents within and without the international intelligence communities have been circling him for some time and, having connected him to the subway incident, may now have the scent they have been seeking. At the same time, Rain is drawn outside his private world by an alluring jazz pianist, the dead man's daughter, who is the key to the very secrets her father was trying to reveal when he died.